We know that every fundraising group is different and our goal is to help you raise the most amount of money in the least amount of time. From elementary and middle school parents to church youth group leaders, we have creative fundraising ideas and fundraising resources to make your campaign a quick, painless (and PROFITABLE) success. Does Product Fundraising Actually Work? There are tons of questions and decisions to be made before starting your fundraiser. If you haven't found the specific answer to your question here, please visit the Fundraising Basics information page, check out our Top 5 Ways to Promote Your Fundraiser page, or read up on this excellent summary of the reasons to choose WFC for your fundraising program. 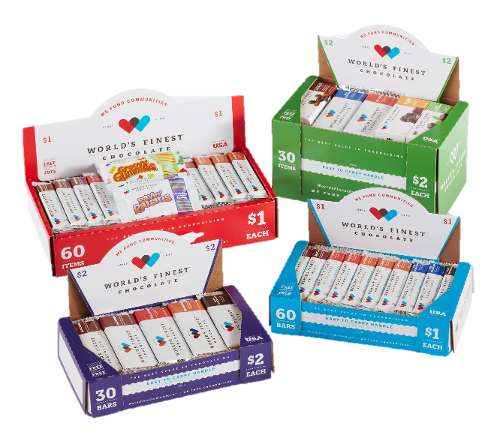 Since 1939, World’s Finest® Chocolate has crafted premium chocolate directly from the cocoa bean. By using only the finest raw ingredients and our unique family recipe, we ensure that every piece will satisfy your chocolate cravings. 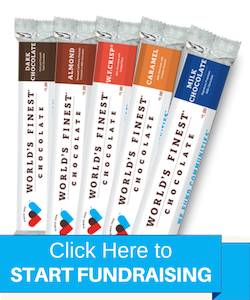 Our founder, Ed Opler, Sr., pioneered chocolate product fundraising, starting with our first customer: Zion High School. Just outside of the city of Chicago, the Zion HS band was the first group ever to do commercialized product fundraising. Since 1949, we’ve helped our customers raise over $4 billion...and we've learned how important it is to maintain a nationwide network of fundraising professionals who'll help you every step of the way.